This article describes a general process for giving away property rights to someone else for no money. For example, you may wish to make a gift of property, or you may wish to add a family member to your deed. You should be aware that simply adding someone to a property deed can have very different results depending on the exact words used in the new deed. If you are buying or selling property, it is important to get professional help. Generally, changing the person or people named on a real estate deed changes the ownership of the property. The legal term for this change is “conveyance.” The property deed itself is not changed. Rather, a new deed is prepared and recorded to show the desired ownership. This is true when buying or selling property and also when giving away or sharing ownership of property. There are several ways to give others certain rights to your property, and the exact words you use in the deed can have significant results. There are several types of deeds and it is important to be very careful about the type and wording of the deed. If possible, it is important to get help from an experienced lawyer. Change of name: Even if you are the sole owner of property and have simply changed your name, if you wish to have the deed reflect your new name, you must make and record a new deed, conveying the property from your old name to your new name. To change the names on a real estate deed, you will need to file a new deed with the Division of Land Records in the Circuit Court for the county where the property is located. The clerk will record the new deed. In general, you must perform steps like the following. Note that the specific steps vary from county to county. You can verify the specifics for your county by talking with an attorney or county official, or by talking to a Land Records clerk at the Circuit Court, or an agent at the county Office of Finance. New Deed: Prepare a new deed, showing the ownership you want. You can prepare the deed yourself, using a form, or you can have a lawyer draft the deed. It is a good idea to have a lawyer draft the deed, because any errors in the deed or the process may not be found for many years, and can be hard to correct. Generally, a deed must state the “consideration” (that is, the purchase price). If the transfer is a gift, or involves freely adding a co-owner, the deed must state that there is no consideration. NOTE: One of the most important parts of a deed is called the “habendum” clause, also known as the “to have and to hold” clause. That clause indicates the type of ownership interest being conveyed. If this part of the deed is written incorrectly, the deed may not legally accomplish what you want it to. Certificate: The deed includes a certificate of preparation, stating that the deed was prepared by or under the supervision of a Maryland lawyer or by one of the parties. This certificate must be signed by the lawyer or party who prepared the deed. Notarized deed: The new deed must be signed before a notary public. Lien Certificate application, if required: A Lien Certificate is an official document showing the status of any unpaid taxes or other obligations for a piece of property. In many counties, before recording a new deed, you must apply for a Lien Certificate for the property and pay any outstanding obligations to the county. Fill out the Lien Certificate application for the county. Submit the application, with the application fee. The application fee is different in each county. The application is generally submitted at the county Office of Finance. It may take several days or weeks for the Lien Certificate to be prepared. Land Instrument Intake Sheet: You must fill out a State of Maryland Land Instrument Intake Sheet. This document will be used to determine your transfer tax and recordation tax, if any. Baltimore City uses its own intake sheet. Paper copies may be available at the Office of Finance, or the Division of Land Records. Payment of local government obligations: In counties requiring a Lien Certificate, you must generally pay the obligations listed on your Lien Certificate. Take your Lien Certificate, with payment, to the cashier at the Office of Finance. After you have paid the obligations, the Office of Finance will sign off on your Land Instrument Intake Sheet. Transfer and recordation taxes: There are generally several types of tax you must pay in order to transfer property. These include State and County Transfer taxes, and the State Recordation Tax. Some transfers of property may be exempt from certain taxes. For example, gifts of property to parents, siblings, spouses, children, stepchildren and grandchildren may be exempt from Maryland transfer and recordation taxes. 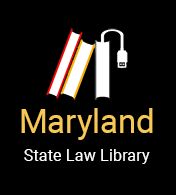 Examples: If a parent owns a home that is not subject to any debt, and the parent freely transfers the home to the child, the gift is not subject to Maryland recordation tax. However, the result may be different if the parent wishes to transfer a home that is subject to a debt, like a mortgage. In this example, if the transfer involves refinancing the mortgage, with the child taking over the remaining mortgage debt, the child is in fact “buying” the home for the amount of the remaining debt, even though the parent does not receive cash. In this situation, the transfer would involve “consideration,” and so would be subject to Maryland recordation tax. The counties of Maryland, and some cities, have different specific taxes and procedures. You can verify the procedure in your county by contacting the county Office of Finance or the Division of Land Records at the Circuit Court. Pay any necessary transfer and recordation taxes. If it is determined that you are exempt from any of these taxes, your deed will be stamped accordingly. Recording the deed: Once all necessary taxes and fees have been paid, take the original deed, a copy of the deed, and the completed and signed Land Instrument Intake Sheet to the Division of Land Records at the Circuit Court. You must pay the recording fee. It is important to take a copy of the deed as well as the original so the Court can submit the copy to the State Department of Assessment and Taxation. When the Land Records clerk is satisfied that the correct documents have been submitted, the clerk will accept the documents for filing. After your documents are recorded, the original deed will be mailed to you, which often takes 4-6 weeks. The deed is mailed to you free of charge, and any mailings you receive after the deed has been recorded asking you to pay for a copy of your deed is likely a scam. The transfer of ownership becomes effective when the deed is recorded. Note: Neither the Land Records clerk nor any government official in this process will be able to advise you as to whether a new deed is written in a way that accurately accomplishes what you want. Nor will they be able to determine whether you have the full legal authority to give away the property. That is why it is important, if possible, to consult with an attorney, and to have an attorney give you advice and prepare your deed.